You probably know what to look for in a good doctor, or you should. When the car breaks down, you probably spend a lot of time searching for a good – if not the best – mechanic to work on and bring it back to life. It is interesting how much time and effort is put in the search for doctors, mechanics, teachers and schools for your children, but almost no thought given to the choice of roofing company or contractor. The fact roofing problems should be solved immediately does not mean you stop looking for the right and most reliable company to do it. Insurance is a must have quality in a reliable roofing company. It is interesting that most people put this quality last on their lists. Many people look at money (cost of hiring the roofer) and experience. In fact, some people do not care about insurance. All they want is a roofer to show up and fix the roofing problem fast. If this means saving money by hiring an uninsured roofer, so be it. Well, the truth is that hiring an uninsured roofer can destroy you financially. 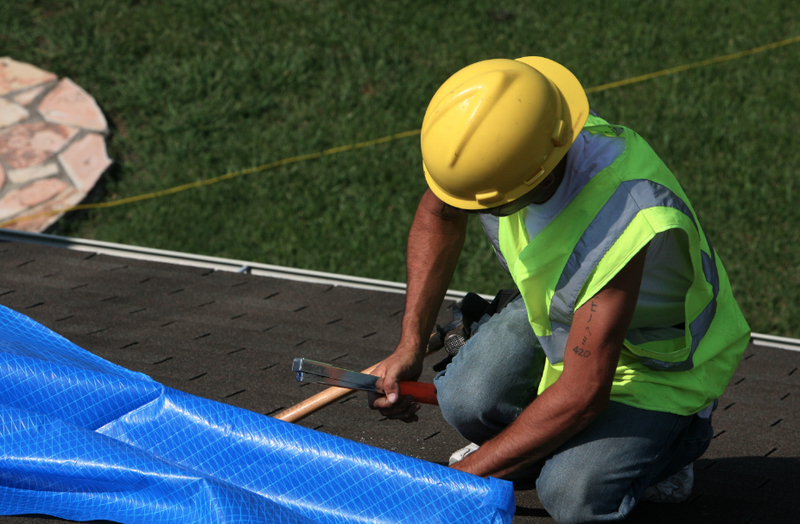 If the roofer destroys the property, suffers an injury or falls to his death, you have to pay from your pocket. A reliable roofing company or contractor operates permanently from an office. Today, you are likely to find many roofers who operate from their cars. They travel all over the place looking for customers. The problem with hiring such roofers is you will never find them when the service they provided is shoddy and not what you expected. On the other hand, hiring a roofer who is permanently stationed in a particular office or building within your city or town is highly recommended. When problems arise, you know where to find this office-based roofer. A reliable roofing contractor guarantees his work. Warranties and guarantees are part of the industry. They prove that the roofer does not doubt the quality of work he does. A roofer who does not guarantee his work is not reliable or trustworthy. Guarantees and warranties are the equivalents of putting your money where your mouth is. It displays the roofer’s confidence in the quality of service offered. The minimum you should accept from a reliable roofing company is a warranty of at least one year on roof installation. 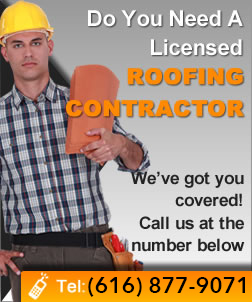 License and permits are essential qualities in a reliable roofing company too. Reliability is not only about the work the roofer does. It is also about the confidence the roofing contractor gives customers. A roofing contractor makes people trust him. One way of doing this is by displaying all the relevant licenses and permits that allow him to work and provide roofing services. In such cases, nothing else matters or speaks of the contractor’s reliability more than these documents. He should have no trouble displaying them when asked by his customers. References are mandatory in the roofing industry too. A roofing company that markets itself as one of the most reliable should have no problem giving you a minimum of ten references. From the list it gives you, select any three names randomly. Call these customers to check with them the claims the roofing company makes about the quality of its services, experience, professionalism, warranties and any other matter that interests you. A roofer who gives this list is not only transparent and honest, but also displays a total commitment to guaranteeing customer satisfaction. A reliable roofing contractor is well educated and highly trained. A roofing company must employ educated and trained employees. The company does not display a good sign when it sends roofers who know so little about the industry. In fact, you will not feel confident allowing people who know little compared you to work on your roof. A reliable company takes its brand and reputation seriously. It employs roofers who have the expertise and knowledge required to represent it effectively and accurately while working on customers’ properties. It is not advisable to refuse to hire a company simply because it does not give free estimates. Basing your choice or decision on several factors is important. Nonetheless, a company that has no problem giving free estimates proves its reliability. Those who charge for the estimates prove that their interest is making money from you at any opportunity they get. The estimates should factor in the entire scope of roofing work you want the company to do. It should mention money and indicate the time frame – the time the contractor expects to start and finish the project.